We all know that playing sport and partaking in regular exercise is good for your health, but it can sometimes result in injuries such as strains, torn muscles, fractures and muscle cramp. Thankfully, most people will only experience minor sport-related injuries in their life time, but such injuries can lead to swelling, pain and restricted movement which can prevent people from returning to exercising and working out. We know that not all sports injuries can be prevented, but the team of sports massage Chelmsford specialists here at Faye Pattison Physiotherapy are here to use their years of experience dealing with different aches and pains to find a solution for you. We will carry out a thorough and in-depth assessment on you, where we will be able to provide you with the best treatment to help your body recover and get you back into doing a sport you know and love in no time at all. Our sports massage therapy is designed to help treat patients with injuries or chronic pain, by using slower strokes and deeper pressure to work on the deep layers of soft tissues such as muscles, fascia, tendons, ligaments, bursa and nerves. The treatment may cause some soreness during or after the treatment, but it will certainly help you to feel better within a day or two. Not only are sports massages great for people who are suffering from a sport injury, they’re also great for people who spend a lot of time sat at a desk or have a job involving repetitive movements such as lifting and bending. To arrange an appointment for the best sports massage Chelmsford has to offer, please contact us today. We understand how frustrating it is waiting on the side line for an injury to recover, itching to get back off the bench and play for your team again. You may be a keen runner, cyclist, swimmer or athlete and can’t continue with your sporting activity or are struggling to perform at your best due to an ache, pain or injury. 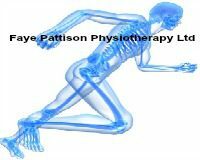 Faye Pattison Physiotherapy are here to help! Our priority is to work with you to treat your sporting injury as quickly, professionally and efficiently as possible to get you back to what you love! We work with people from all walks of life including professional and amateur athletes to the everyday professional who enjoys going to the gym, playing golf, football and other sporting activities. We have a great team of physiotherapists who can provide the treatment you deserve and to pick up any biomechanical imbalances which could be the reason why your pain is presenting. We have had great results with our bespoke orthotics (where necessary) combined with manual treatment to help our clients get out of pain, recover from their injury and minimize the re-occurrence of injury. We provide a friendly, professional and welcoming environment to all clients visiting Faye Pattison Physiotherapy in Chelmsford, with free-parking on site for visitors to the clinic. 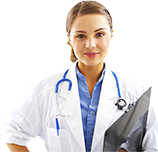 We have successfully treated a large number of patients with sporting injuries and work-related aches and pains with the very best sports injury massage Chelmsford treatment. Sports massages really do help to loosen off any tight muscles, and the treatment can provide workers with a few exercises to help keep the aches and pains at bay.